I love Paula Deen. I know she can be a little over the top at times, but I just love her. 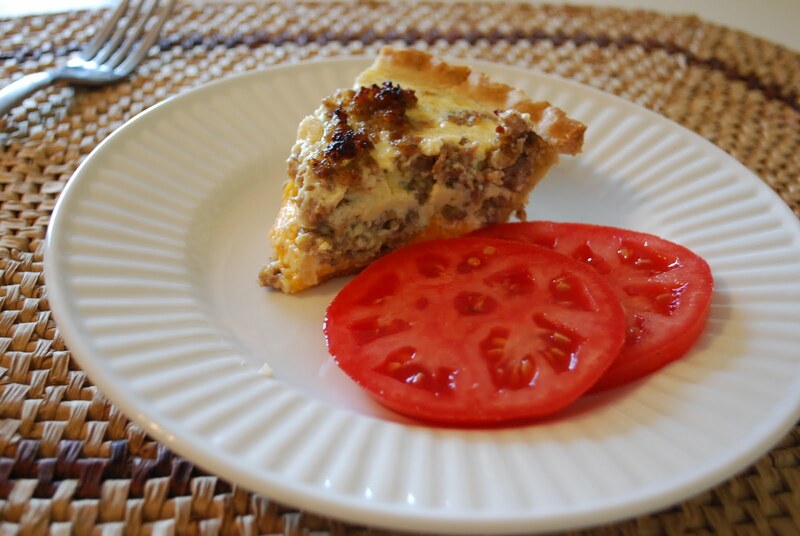 This quiche is from her collection of wonderful and easy recipes. It is really good. I mean, with the mixture of sausage and cheese, you can't go wrong. Paula calls this Ron's Tybee Island Sausage Pie. I call it delicious! Ooo, that looks so good. Plus anything with cream cheese HAS to be delish. I bet this would be good for brunch! And where do you buy your tomatoes, those look so perfect and juicy!